We’re the best source for Pensacola to Panama City real estate investors to find great discount and investment property in the Pensacola to Panama City, FL area. We’re constantly picking up new properties and always have properties available. Once you register you’ll be taken to our Pensacola to Panama City investment properties page. Whenever we get new properties in we’ll put them up on that page and notify you by email. Our company has honed our marketing to a point where we’re pretty darn good at it. We find and acquire deeply discounted Pensacola to Panama City real estate then make those properties available to you at DEEPLY discounted prices from current market value. 2. Deliver a WOW experience. 7. Giving back to our community. 8. Have passion for what you do! Promoting a positive community and economic growth while revitalizing our neighborhoods. Blake Woodham is the founder of Gulf Coast Home Buyers, LLC, a company which provides a hassle-free home selling experience. After seeing his own family face the troubling times of home foreclosure at a young age, he decided to explore real estate more and discovered there is a need in the marketplace to help people in tough situations. With his passion for fulfilling the need, Blake has strategically grown the company, not only guiding local home owners to the simplest and easiest way of selling their properties, but solving difficult real estate problems and helping them come out ahead in the process. 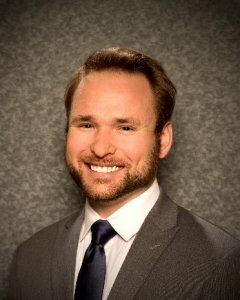 Blake studied business management at the University of Maryland and is currently a Combat Systems Officer with the United States Air Force. He fell in love with the gulf coast when the military brought him here in 2008 and knew this is where he wanted to plant his roots. He began purchasing homes since 2013 and has been working closely with his team to grow the company to the #1 Home Buyer in Northwest Florida. Along with his wife Jennifer, they enjoy spending time on the beautiful beaches, volunteering in the local community, travelling and being a student of life. Jerrod Mink is an Air Force veteran with a passion for real estate. While in the military, Jerrod was a Survival, Evasion, Resistance, and Escape (SERE) Specialist who specialized in teaching survival tactics to high-risk-of-capture personnel. His intense desire to pursue a career in real estate led him to leave the active duty in 2018. Jerrod studied Emergency and Disaster management at American Military University and is currently pursuing his Masters in Operations Management and Supervision through the University of Arkansas. Jerrod and his wife Allison chose Pensacola as their forever home and moved to the area in the spring of 2018. 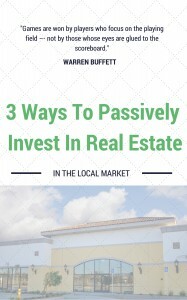 They are both aspiring real estate investors that are driven by their desire to improve the lives of people around them and provide their children with a prosperous future. 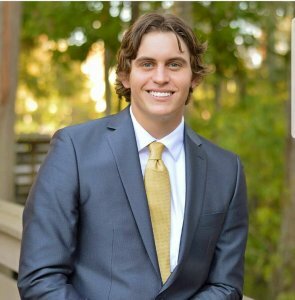 Jerrod has a sincere passion for the business and is thrilled to help families along the Gulf Coast solve difficult real estate problems and make their experience with Gulf Coast Home Buyers a great one. Being a native of Florida, I have extensive knowledge and understanding of the Bay County and Walton County regions. This paradise we call home in the Emerald Coast contains nearly 25 miles of sandy shorelines that make this place like no other. The emerald green waters of the Gulf of Mexico make this location a prime tourist destination in the Sunshine State. After traveling to multiple cities in Florida and attending college in Orlando, I quickly realized what a blessing we have in the Emerald Coast. Upon graduating from the University of Central Florida in business and real estate, I quickly moved back to our exclusive beaches and picked back up in the flourishing real estate market. With extensive experience in sales, property management, investment real estate, and residential real estate, I have the knowledge needed to help you. Whether you are buying or selling your first home, second home, investment property, or a vacation condo, I am here to help you with all of your real estate needs. Brianna has been in customer service for 10 years now. She enjoys helping people in all aspects of life including work, personal, relationships, fitness, nutrition, and otherwise. Brianna received her Bachelor’s Degree in Sociology to further her interest in people and helping others. She plans on going into Social Work, specifically with adoptions, and then proceeding to become a therapist. Real estate is Brianna’s newest endeavor she has entered. She enjoys every aspect of real estate which is why she loves helping others in it as well. Compassion, integrity, and honesty are the aspects she believes help most in regards to customer service within the real estate field – all of which she upholds. Brianna and her husband own a home in Arizona and a home in Destin. Her husband is also pursing his real estate license so they both can pursue careers in real estate. Because this is more than just a job – it is a passion – Brianna is dedicated to helping homeowners out of their tough situations. Adrian is a Customer Service Specialist at Gulf Coast Home Buyers, LLC, a company dedicated to helping people in need of selling their home, by providing a quick and easy way to sell. He firmly believes that integrity is easily one of the keys to a successful business. Adrian understands that providing excellent customer service to any business prospect and following through on their word is essential in keeping the company and its name reliable and reputable. He graduated with a degree business management, and strives to one day open his own business. He has a deep motivation to help others after watching his parent’s hardships throughout life. Adrian has been in the real estate customer service field for several years, and truly enjoys the real estate space. 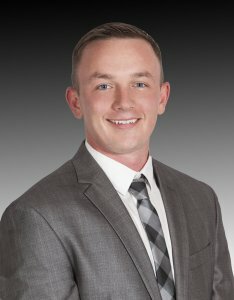 He strives daily to provide world class customer service, contributing to the team, and making sure that your first steps in selling your house will be positive, quick and easy. You may have even seen some of our marketing around Pensacola to Panama City FL.